CBSE 12th Result 2019: CBSE Board Class 12th Results for All Regions to be declared at cbseresults.nic.in. Students Can check Cbse Plus Two(+2) Result School wise, Name wise Marks Sheet PDF, Senior School Certificate results at official websites cbse.nic.in. The Central Board of Secondary Education will declare the results of Class 10, 12 examinations in the second week of May. “The class 10, 12 results are likely to be declared between May 13 to 17, 2019. The anxious moment is soon to arrive for you all; my dear friends. The Central Board of Secondary Education is supposed to announce the CBSE class 12th Result 2019. All the aspirants are advised to stay tuned here for a further update on the Results as well as on the Exams. CBSE Class 12th for streams like; Arts, Science, and Commerce. The Results will be announced for all at the same time. While preparing for their examinations, aspirants must be jittery and worried related to their performances in the CBSE +2 Results 2019. Dear friends, please remain fixated to your studies to score well in your results and brighten your career path ahead. The exams for class 10 will begin from February 21 and class 12 from February 15. The has also issued important instructions for the candidates appearing in the exams. This year, 31,14,831 candidates have registered for the exam of which 1819077 are boys and 1295754 are girls. This year, 28 transgender students have applied for the CBSE exams. From class 12, a total of 12,87,369 students will sit for the exams while from class 10, it is 18,27,472 candidates have applied. This includes 22 transgender students from class 10 while six students from class 12. This year 12,87,369 students have enrolled for the CBSE Board Class 12 Examinations February/March 2019. Candidates who had appeared for the examination (15th February 2019 – 3rd March 2019) can expect their result soon. Candidates can find their result at the cbseresults.nic.in. The Central Board of Secondary Education, popularly known as CBSE is responsible for all school level functionalities, up to class 12th. From designing to regularly improving the course curriculum, conducting Secondary (class 10th) and Higher Secondary (class 12th) Exams timely and publishing their respective results. This is the largest Board of the country of its kind and has several affiliated schools under it. CBSE has Delhi, as its Head office and was established in November 1962. The Board also conducts All India Pre-Med. Test at the national level apart from the regular school level exams. The Board has successfully commenced the Class XII Exams 2019 and all students are engrossed to their respective preparation, hustling to cover and revise their different subjects. The CBSE class 12th Results 2019 is expected to be public in the month of April/May. The Board is going to announce it on its official website. Continue with your exploration here and bookmark the page for quick. You can find all the newest update on the same. The official website for cbse is www.cbse.nic.in. Students should always be ready with their Hall Ticket/ Admit Card to check their results. They check it name-wise and Roll No. wise. Also, the data related to the performances, toppers details, subject wise performances, district wise, state wise etc. will be updated with the declaration of the CBSE class 12 Result 2019. This should always be remembered that one can go for rechecking of their Answer sheets in case of dis satisfactory Results within 10-12 days of the Results announcement. Nevertheless, the Supplementary Exams are also being conducted after 1-2 months of result declaration. 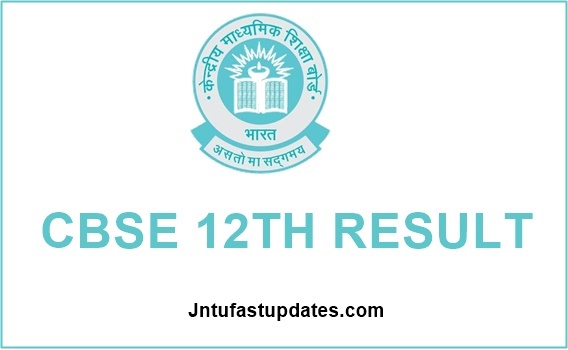 CBSE Board 12th Class Result 2019 Date? CBSE 12th Result 2019 likely to be Announced on April, 2019. Check CBSE Board Exams 2019 results and Merit/toppers list From Below. Use the above links to check it your CBSE class 12th result, those who done their CBSE Regular/ Supply examinations held in march 2019. At this crucial phase of career, expectations are high for the Students and we Wish all the best for your results as well as the future career prospects. Students will also be able to check their results on Google. “CBSE has partnered with Google for the first time to host the board’s Class 10 and Class 12 results on the search engine,” the board’s spokesperson Rama Sharma told Hindustan Times. CBSE Class 12 Results can be check in Google.com, Microsoft’s SMS Organizer App, Umang Application in android, windows, ios and BING Search Engine. How to Check CBSE Class 12 Results 2019 School Wise? 1. Go to official webSite cbseresults.nic.in (or) cbse.nic.in. 3. Enter Your Roll Number and School No. 5. Done. You Will Get the CBSE 12th Results. You can also get cbse Plus Two result 2019 via SMS and Email. Many class xii students are searching for cbse Senior School Certificate Examination Results in google. There are many Zones and Cluster under CBSE board. About Board: CBSE Board (Central Board of Secondary Education) is Famous and Popular Board in India. Most of Students Prefer CBSE Syllabus to gain More Knowledge in Short Time with More Practical Knowledge. Cbse is not a state Syllabus its a central Syllabus. CBSE board Conducts 12th class and 10th Class matric/ General & Compartmental Exams Every year in the Month of March & April. 1.3 How to Check CBSE Class 12 Results 2019 School Wise? Sir 1question suppose 12 class CBSE board and board exam 1subject chemistry exam is fail . and board marksheet to show passed in class 12. I got compartment in biology.can i got admission in b. Pharm in govt college plz tell me in detail. Please don’t go against moderation policy because we can’t compete with the students from state syllabus.